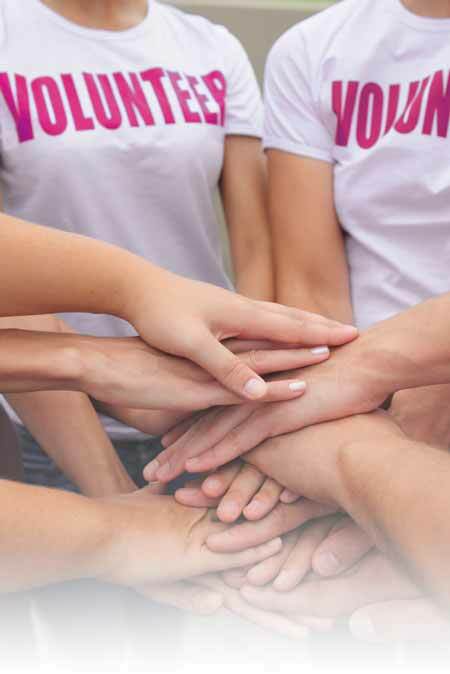 In order to carry out our mission, Friends of the Family depends on contributions from volunteers. If you’re interested in helping us bring aid to survivors of domestic violence, the homeless or victims of human trafficking, please fill out our volunteer form below. If you have questions, please contact us. Number of Hours Available For Volunteering? Working directly with our clients. Fostering the pet of someone fleeing domestic violence. Assisting with the storage unit. Providing violence prevention presentations. Offering support in the administration office (sorting donations, preparing mailings, organizing, etc). Providing maintenance and/or groundskeeping. Providing community outreach and education on behalf of the agency. Assisting with fundraising for the agency. Other. I'm not sure.